We are a low cost substance abuse facility centered on recovery for alcohol and/or prescription pain addiction. Click through the pages on our website and you'll learn more about who we are, what we do and how we can help your situation. We have been at this a long time and our success is remarkable! Our program method is different than anything else on the web. It is natural and is common sense. 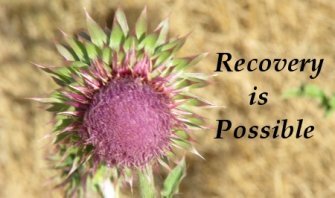 We hope you like our approach to healing as much as our hundreds of past clients. As a farm based rehabilitation/fitness center with 9 private rooms, we started this business as a Fitness Weight Loss and Detox Center and found that a large percentage of our guests were people who had bigger goals and objectives than just a good fast or cleanse. Get back on track with your lifestyle goals. Lose weight, increase your peak athletic performance, get over an addiction, or just begin a fitness program and start healthy lifestyle. We have live-in accommodations in a rural country setting to help you retreat and focus on your detox, fitness and weight loss goals in a stress-free environment. Every private guest room at the ranch has a private bathroom, personal work space, flat screen, satellite enabled TV, and wireless internet. Don't worry if you haven't worked out in a long time or if you've never worked out. With your very own personal trainer, we'll tailor a program to meet your individual needs and goals. We are the place you go when you want results with no record for prying eyes to judge you or insurance companies to increase your rates based on a ?past problem.? The difference between self detoxing and attending a center are many things. At a center, the time you are here is about one thing?it is about you and YOU alone. You don?t have to deal with work, spouse, kids, washing the car or mowing the lawn?it?s about YOU! At home, you are generally still doing laundry, caring for yourself and maybe even a family perhaps going to work each day and cooking meals for you and others. You may be required to take kids to school, sports practices/events and maintaining daily chores. It is day to day life and a difficult situation to try and detox in. Not to mention, alone with the uncertainties like, ?Am I doing this right?? ?Should I feel this way?? As you detox from any substance you will get irritable, cranky and often times irrational and unreasonable. You may also feel ill. It's really no fun to detox and the saying holds true, sometimes you must feel worse before you can feel better. On average, most of our guests require 12-16 hours of sleep per day during the first week of their stay. The first week is rough, the second week unpleasant and the third week is bearable. After that, things are definitely better. At a center, you go through these things with others providing you direction and reassurance. We cook for you, we train you in the gym, we hike with you and help motivate you. We also put you in contact with people who are here to help you get through this period of your life. Many people find that they just can?t seem to get clean at home: a neighbor may stop by with a bottle of wine, parties after work, holidays, the list goes on. Plus your access to your pain pill network is still available. At a center, you are in a supportive, controlled environment.